Bronxville, NY Fence Company - Red Fox Fence, Inc. When it comes to our homes, quality is always a priority. 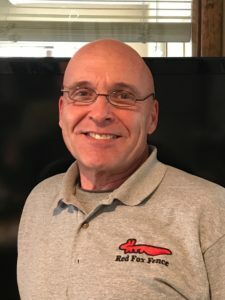 A good fence is just as important as a good roof, and that's why the local residents trust Red Fox Fence as the Bronxville, NY fence company of choice, to handle all their fencing needs. We're just a call away, at (845) 254-0330. Whatever your fencing needs, from a perimeter chain link fence to keep the kids in the yard to a tennis court fence, we have got you covered. We've been doing this since 2006, so rest assured that we know we are very experienced and will get the job done right. As the leading Bronxville, NY fence company, we have hundreds of fence installations under our belts, and our team of experienced professionals are always looking forward to a new challenge, so don't hesitate to call us whatever your needs are. In Bronxville, NY for example, we know many homeowners are raising families with young ones or pets that like to stretch their legs out front or perhaps in the backyard, and parents can't always have their eyes on them. That's where we come in. We can provide fencing solutions for you that are not only secure and reliable but also fitting into whatever aesthetic you want for your residence. Nobody said security can't look good. Don't hesitate to get in touch with us, whatever your fencing needs, because we can handle it all. Driveways, basketball courts, swimming pools, tennis courts, and everything in-between; we can handle it. All you need to do is call the finest Bronxville, NY fence company, Red Fox Fence. We will make sure that you are glad that you did. Before we begin any work, we will provide you with a complimentary estimate of what it will cost, just to make sure there are no surprises down the line for either of us. You want to make your home more beautiful and secure - and we're here to trying to help you do that. Call us now at (845) 254-0330. Be sure to get the very best for you and your family by calling us, and we'll get our team of expert, experienced fencing professionals out to you to get the job done. A good fence goes a long way in making your house a happy home. Aside from being where Jennifer Lopez famously claimed to be from, Bronxville, NY has played host to some more prominent people in our nation's history, such as John F. Kennedy, the 35th President of the United States as well as his brother Robert. There are over 70 acres of parkland in Bronxville, NY providing athletic areas, walkways, jogging lanes, and a wealth of cultural woodlands and nature study locations. For a cosmopolitan area, you can't get more variety elsewhere. The infrastructure in the area is top notch, owing to the efforts of a committed council, and the school district Bronxville, NY falls under is one of the best in the state.